click here to start your career! 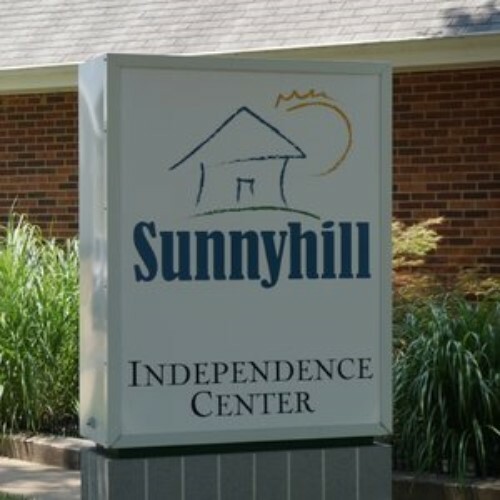 Sunnyhill, Inc. is a non-profit 501(c)(3) organization that provides services, programs, and opportunities for children and adults with developmental disabilities. Sunnyhill serves over 1,000 children and adults, ages 4-85, annually in six St. Louis metropolitan counties. In partnership with the community and natural supports, Sunnyhill empowers people to become productive citizens and achieve their dreams. At Sunnyhill, we believe that no challenge is too difficult and all dreams are within reach. Besides living throughout the community in apartments and houses, the people Sunnyhill supports have the opportunity to live at one of three of our locations in Dittmer, DeSoto, & Festus. Our recreational programs give children and adults the chance to explore nature with activities such as: float trips, the alpine tower, climbing and rappelling, swimming, boating, or riding the zip line. 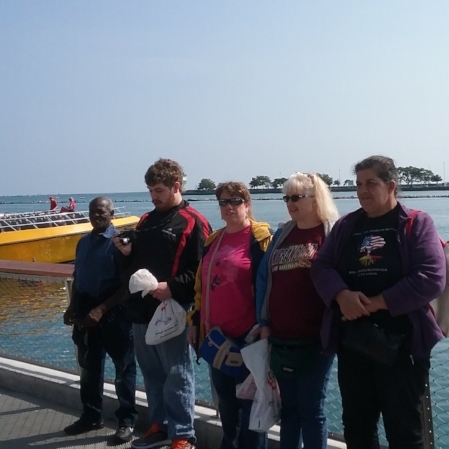 Sunnyhill, Inc. provides tailored residential, recreational, and educational opportunities for children and adults with developmental disabilities. In partnership with community and natural supports, Sunnyhill empowers individuals to become productive citizens and achieve their individual dreams. Family Fun at the Magic House! A big thank you to the The Magic House, St. Louis Children's Museum for allowing the people we support and the families of those who work for Sunnyhill to enjoy your facility on June 27th! Everyone had a magical time! We would like to thank all of our committee, sponsors, guests, entertainment, emcee, Coach Gary Pinkel, and volunteers as well as parent, Ann Rayfield, and her son Scott, for sharing their amazing story. We're changing up part of the Jim Hart Celebrity Golf Tournament! We hope that you can join us for the Jim Hart Celebrity CASINO Night! Join us for all the Casino fun without any of the Casino regrets! Play real casino games with real casino dealers at the Legends Country Club on Sunday, April 28th! The 12th Annual Jim Hart Celebrity Golf Classic is sure to be our best tournament yet! We hope you'll consider joining us for this two-day event, packed with opportunities to market your business, network with area professionals, and interact with some amazing celebrities! Join Sunnyhill for our Annual Blood Drive! Sunnyhill would love to introduce you to Jeanene. Jeanene first came to Sunnyhill at the age of 9 while attending Summer Camp. Jeanene now lives on her own with the support of Sunnyhill Staff. Through tax-deductible donations, your support assists with program development, residential, recreational, and educational opportunities.